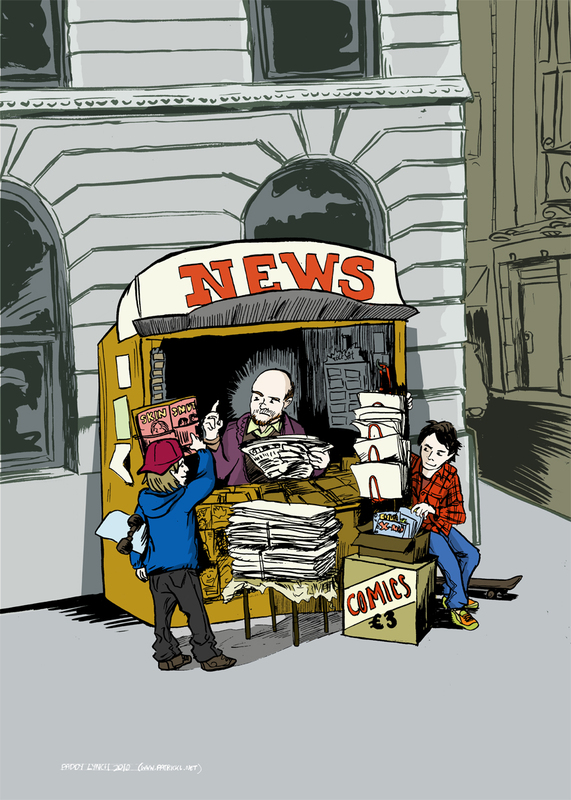 Here’s an illustration I did last week for the “Free Irish Comics Day” 2010 poster. A nice collaboration with Robert Curley of Atomic Diner. He told me a story about trying to nick comics from one of those newstands on O’Connell street back in the early 80’s after seeing Superman II in the Savoy and we figured it would make a great image for the event. Free comics, geddit? It was originally meant to be the cover for the Atomic Diner Anthology, but the book got canned due to lack of funds. 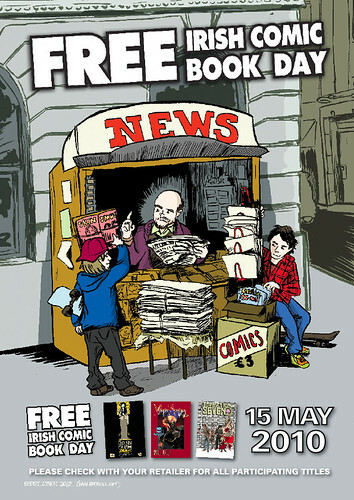 Anyways I think there’s going to be a load of comics given away for free on the 15th May. As far as I know the likes of Easons are on board for distribution as well as the usual gang of comic shops around the country, so it should be interesting to see what, if any effect it has on the buying habits of your general comic punter in Ireland. The full poster, with text and details is below the cut.